The Board Master is an Army Board study tool that provides you with the most frequently asked board questions in flashcard format. Board questions are pulled from Army regulation and doctrine. There are thousands of these documents, many of which contain hundreds of pages of information. Do you have time to seek out and study all of that material? If you do, go for it! Reading doctrine is a fantastic way to learn about the Profession of Arms. You can download these docs online and print a copy, highlighter in hand. You will undoubtedly learn a lot from that experience. Unfortunately, most of us do not have that kind of free time. That is where The Board Master comes into play. 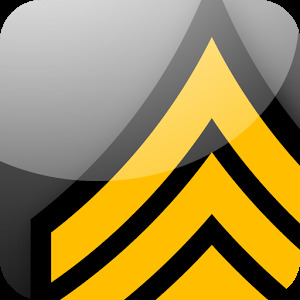 This App contains 20 subjects and 250 questions, and is based designed to help you pass ANY Army Board!